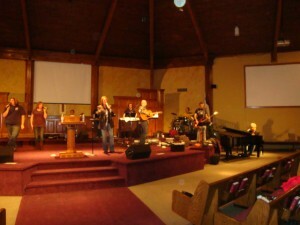 Feb 17-19, Carl, David McKay and I will be training the worship teams at Faith EFC Church in Manitowoc, WI. Saturday will be a full day of intensive workshops, and rehearsal with their band. If you are in the area, please join us Sunday morning for a refreshing time in worship. I will leading and integrating their team will be Carl on guitar and David on keys. We hope to see you there! To book a Team Training Weekend for your church…..
We missed you Ruth!! Hope to see you soon.